We want your feedback so please don't forget to visit the official Detective Game forums here and let us know what you think! EFS Version - Just copy the included DetectiveDS.nds file to your backup card and play. FAT Version - Copy the Data folder included in the archive to the root of your sd card. 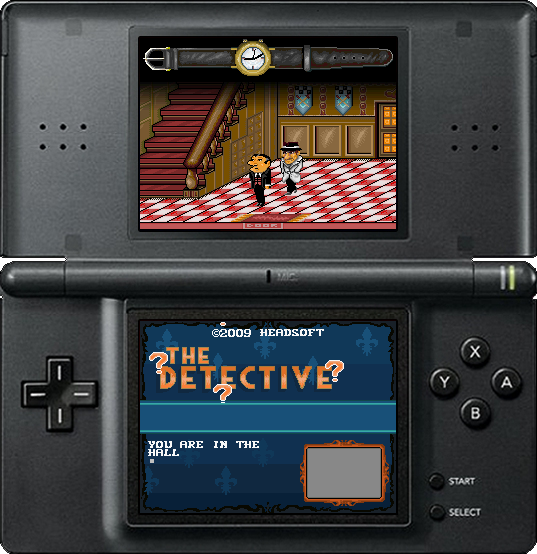 Copy the DetectiveDS.nds to anywhere on your card. We would prefer it if people linked back to this website for the download, that way any potential updates will be linked to in the future.